Israeli forces shoot 21 Palestinians in multiple incidents across the occupied territories, including a nine-year-old girl shot in the hand, while standing on the porch of her home, and a ten-year-old boy shot in the head with a rubber-coated bullet in the head. Others at the same scene are affected by tear gas. The girls is taken to a local hospital and is reported to be in moderate condition. Offices of a prominent Israeli human rights group burn in a suspected arson attack. The attack comes on the heels of a wave of proposed legislation to label such groups as “foreign entities” follows several arson attacks by pro-settler groups. Israel stations the army at exits from the village of Sair, near the West Bank city of Hebron. The deployment comes in response to the shooting deaths of four Palestinian teens allegedly planning to stab Israeli soldiers in the occupied city. There really is a remarkable amount of research and innovation occurring in Israel. There’s just so much going on there and we wanted to be a part of that. Israel votes on plans to build 11 new cities in the south in hopes of bringing over a half-a-million residents to the Negev Desert Region over the course of the next 20 years. 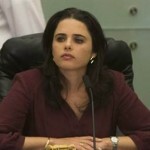 The project aims to increase the percentage of Israel’s population living in the south from 8 percent to 15% by 2035. The construction is projected to be relatively upper class and part of the towns are intended for career IDF officers who would agree to move to the Negev with key army facilities. Planned communities include five suburbs of Arad, four in the Merhavim region of southern Israel, four to six towns, plus an industrial area, along Route 25, and a town called Bnei Gurion, between Kibbutzim Revivim and Retamim. . . .for sensitive populations, short-term exposure to such dense clusters of particulates can cause a stroke, heart attacks, and even death. The storm comes in addition to the existing high heat and high humidity. The tiny particulates make their way into the lungs, where they can interfere with the oxygen to carbon dioxide exchange, giving rise to serious problems. Israel releases all suspects held in connection with the Dawabsheh attack. An Israeli official says that all the suspects arrested were freed, but did not provide further details, including their number. Following recent events in the Judea and Samaria district, the unit for nationalist criminal activity carried out during the overnight hours a few searches and arrests in various outposts in the Binyamin region. Defense Minister Moshe Ya’alon signed a 6-month administrative detention order for two extreme right-wing activists, Meir Ettinger and Evyatar Slonim, in connection with their involvement in organized extremist Jewish activity. The third individual detained is Meyer. This type of detention allows Israel to hold an individual for up to six months without being required to inform them what they are being held for or informing them about any evidence that may exist. Israeli forces enter the Dawabsheh’s house in the village of Duma, searched it and confiscate some of the family’s possessions. Palestinain activists say that the IDF also entered a number of houses and shops located in the vicinity of the Dawabsheh’s home, and that they confiscated all the recordings they found in any surveillance cameras. The Dawabshen family has set up a tent next to their home so as to receive those coming to offer condolences and express solidarity over Ali’s murder. Israel’s Shin Bet security agency says it is interrogating Ettinger, the suspected head of a Jewish extremist group. The agency would not say if he is also suspected in the arson attack, but it accuses Ettinger of heading an extremist movement seeking to bring about religious ‘redemption’ through attacks on Christian sites and Palestinian homes. Ettinger denies leading an extremist movement. 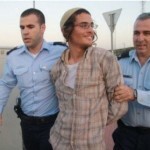 His lawyer says that authorities arrested his client to appease an Israeli public outraged by the arson attack. There was no urgent need to arrest here, other than some kind of desire to show, Here, we’re doing something, here, we’re arresting. Of course, what is better than the number one most wanted target? 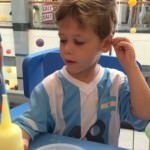 As Israeli investigators released their findings that a right-wing Jewish terrorist network is gaining power throughout Israel and illegal West Bank settlements, they detained Meir Ettinger, the grandson of the late Meir Kahane, but declined to charge him with the arson attack Thursday night that burned a baby to death and severely wounded his mother, father and 4-year old brother. Ettinger smiles and jokes with onlookers as he was taken into custody. Dear Mr Huckabee, no one is marching Jews to the ovens anymore. That is why we established the State of Israel and the Israel Defense Forces, and if necessary, we will know how to defend ourselves by ourselves. The clashes broke out after the Palestinians began throwing stones and shooting fireworks at Border Police and police forces that arrived at the mosque’s entrance. Afterwards, the youths fled into the mosque, throwing stones and bricks at the forces from within, and firing fireworks at them. An unidentified liquid was also thrown at the police. Several hundred palestinian youths bar themselves inside the Mosque on the Temple Mount in order to prevent Jews from being able to pray there on holy fast day of Tisha b’Av (the ninth day of the month of Av), which commemorates the destruction of both of the Jewish Temples. 300 police attempt to stop the violence.President Reuven Rivlin condemned the attack by the Palestinian rioters. Today, the fast of Tisha B’Av, we mourn the destruction of the Temple, the memory and lessons of which stay with us each and every day. The acts of violence and terrorism committed especially today, against worshipers at holy sites, must be condemned unequivocally. I express my support for the security forces, and for their determination to prevent any harm or interference to the prayers at the Western Wall, the remnant of our Temple. Such acts of hatred cannot be tolerated and we will not allow any disturbances to prevent Jews from praying at this holy site. 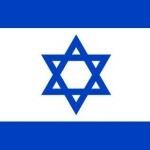 A committee is formed to legalize Jewish settlements in the West Bank that international law currently calls unlawful. 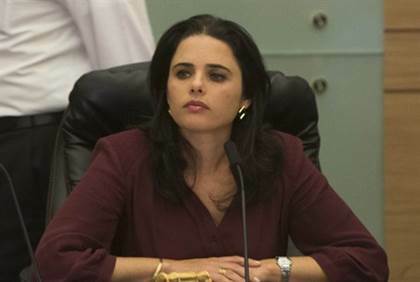 Israel’s Justice Minister Shaked says she wants to help establish the legal status of Jewish settlers in the West Bank. There are many areas in Judea and Samaria where the status is unregulated. The time has come to dispel the legal fog and to enable the residents of Judea and Samaria—most of them in settlements set up by generations of Israeli governments—to stop worrying about the constant threat to the very ownership of their homes. Israeli authorities releases Adnan, n often-detained member of Islamic Jihad, after he spent more than 11 months in jail. 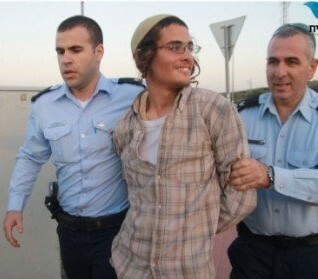 He is turned over at a West Bank checkpoint before being taken to Jenin Hospital for medical tests. [The initiative] is a European attempt to politically pressure Israel on the Israeli-Palestinian conflict by using economic means of questionable legality. The labels are an attempt to de facto determine the boundaries of Israel while it is up to the parties involved to decide, and nothing good or constructive can come out of going down that road. Labeling is an essential part of existing consumer policy, which the commission will help member states to implement uniformly through guidance on Israeli settlement products. The EU considers settlements in occupied territories illegal under international law. 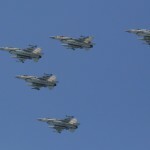 The Israeli Air Force retaliated on Sunday for rockets fired at Israel from Gaza on Saturday night by striking terror sites in the northern Gaza Strip. Yes, it’s a recognition that the state exists. The treaty concerns the Catholic Church’s activities in that territory and both parties are expected to sign it soon. Districts for learning and science… will be an idealized example of what the future on Planet Earth and beyond can look like. In a statement, developers of the Menorah Islands project say that these islands will be a haven for interfaith collaboration, as well as scientific and technological advancements, and provide jobs and housing for Israel’s economy. The Kickstarter fundraising campaign has 31,203 supporters, who have to date donated $129,500. Cameron defends Israel over the 2014 Gaza conflict issue in an interview with the Jewish Chronicle. 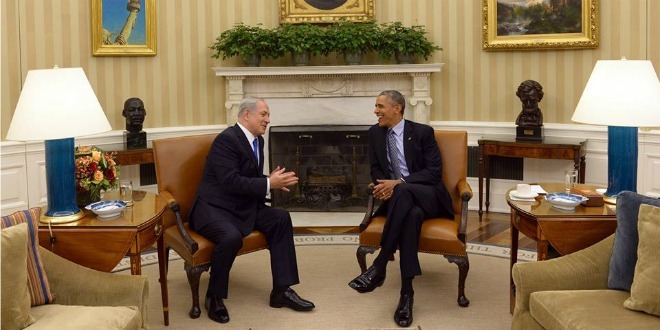 What I’ve seen is the attacks that take place on Israel and the indiscriminate nature of them. As PM, putting yourself in the shoes of the Israeli people, who want peace but have to put up with these indiscriminate attacks – that reinforces to me the importance of standing by Israel and Israel’s right to defend itself. Israel launches an airstrike after troops see “a group of armed terrorists” approach the border of the Golan Heights.with an explosive intended to target Israeli troops. It said that Israeli aircraft “targeted the squad, preventing the attack.” Iran’s state-run, English-language satellite news channel Press TV reports four people were killed. Hours before the border strike, Israeli Defense Minister Ya’alon warned Syria and Iran against arming Hezbollah with such weapons. We will not allow the transfer of quality weapons to terror groups led by Hezbollah and we know how to reach them and those that dispatch them at any time. The project will be promoted in a 90-second video for travelers on major U.S. airlines in July and August. A shortened version of the Menorah Islands Project’s captivating video, found on www.themenorahislands.com, will be aired on 4,000 flights. This airing is expected to be seen by over 160,000 first and business class passengers. The Israelis are very good with passenger data and with analysing social media in Arabic to get a better idea of who these people are. In an official declaration, Israeli Defense Minister Moshe Ya’alon outlaws the Islamic State. Meetings of any kind between members of the Islamic State is now illegal. 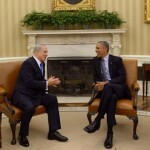 Israel braces for the possible emergence of Islamic extremists cells in the country. The decree opens the gateway for legal prosecution of any local group that may fund jihadist. Illegal activity also includes ‘suggesting, inciting or encouraging’ acts of terrorism against the Israeli government. The statement allows the seizure of assets by the state of any who are affiliating with such groups. This is necessary in order to protect state security, the public welfare and public order. 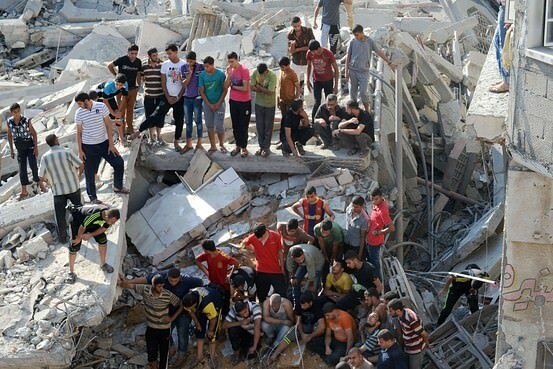 Hamas is grateful to the people of Gaza who sacrificed their homes, children and money. We announce the victory today after achieving our goals … Netanyahu has failed to force Gaza to surrender. Yes, we defeated them by our standing and our resistance. We will stand by our people and we won’t leave them. Abbas calls on Hamas and Israel to attend fresh talks in Egypt. The previous brokered truce collapsed on Tuesday. Over 2,090 Palestinians and 67 Israelis have been killed in recent weeks. Israel says that over 525 rockets have been fired into Israel from Gaza since the latest ceasefire ended, with 69 of them being intercepted by its Iron Dome anti-missile defence system. 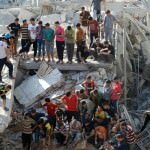 60 air strikes have been carried out over Gaza on Saturday said the Israeli Defence Force and more than 70 rockets and mortar rounds that were fired from Gaza struck Israel. 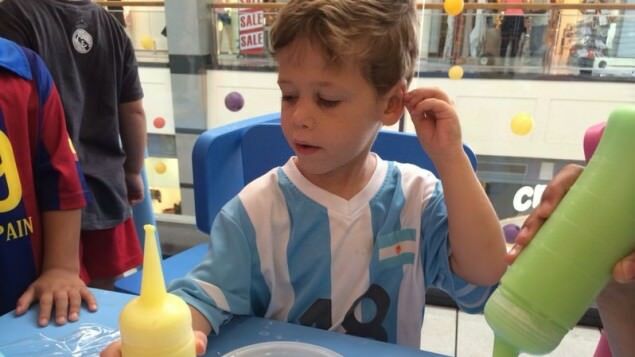 Four-year-old Israeli boy Daniel Tragerman is reported killed by mortar fire while at home with his parents at Kibbutz Nahal Oz in the Sha’ar Hanegev region close to the border with Gaza. Sirens sound prior to the impact but his parents — Doron and Gila — are unable to get Daniel into a protected room in time, and he is killed by shrapnel from the explosion that strikes the house.